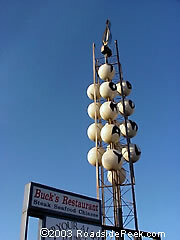 Lace up your shoes and head out to Tokay Bowl in Lodi, and check out the unique marquee while you're at it. Well, it seems like most of the unique sights along the road have disappeared due to what some define as "progress". Don't know about that, other than the fact that one of the more unique bowling alley signs has faded to a memory. The place now sits empty, and has been for the last couple of years. 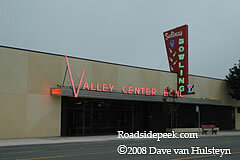 The Valley Center Bowl in Salinas, CA is an old bowling alley that's still open for business along the main drag in town. A good community hang-out for fun and a few games of ten pin bowling, both by day and by night. 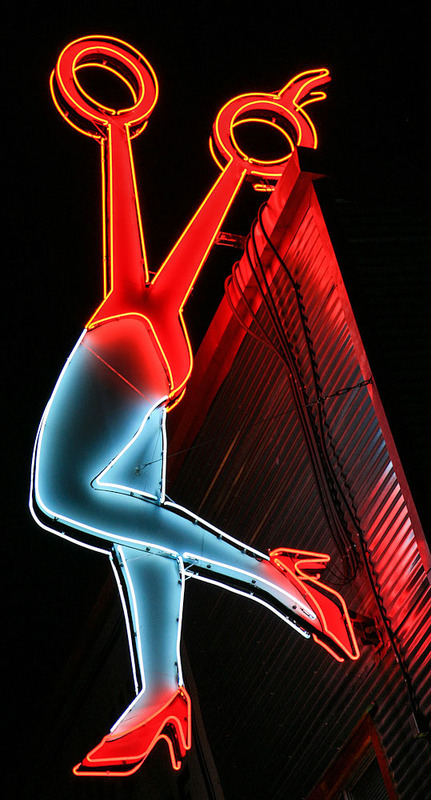 Here's an old sign for the Century Bowl. This place is closed and looks quite dated. 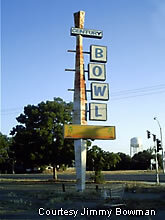 Here's a shot of the Bellevue Bowl, still operating and taking in bowlers in Atwater, CA near the old route 99.